Judgment has been reserved in the High Court in Bloemfontein in the preservation order matter involving the controversial businessman Atul Gupta and the Bank of Baroda. 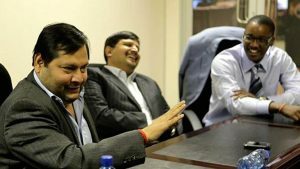 The legal representatives for Atul Gupta and the Gupta companies have argued that the High Court in Bloemfontein has erred in granting the preservation order to freeze the assets of the Bank of Baroda and the R10 million his in personal account. The National Prosecuting Authority (NPA) argued that various deposits were made to the Bank of Baroda from the Estina project. The money left the account as soon as it was deposited. NPA’s Advocate Thato Ntimutse argued that there is a string of illegitimate transactions in the account and that Bank of Baroda failed to keep proper records of their banking. The court heard that the bank does not operate within the prescripts of the law. At some stage it received a fine of R11 million from the Reserve Bank. The Bank of Baroda’s Legal representative refuted the NPA’s allegations. Luc Spiller said: “The National Director of Public Prosecutions (NDPP) also went on to make various allegations about the inadequacy of record keeping Baroda. The case which was set down for two days has been adjourned; judgement will be delivered next Friday. The post Judgment reserved on Atul Gupta and Bank of Baroda case appeared first on SABC News – Breaking news, special reports, world, business, sport coverage of all South African current events. 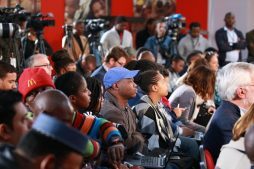 Africa's news leader..
Young, black women are more likely to be employed as journalists than any other demographic in South African newsrooms. This is according to the latest Wits Journalism report which looks at the state of South Africa’s newsrooms. State of the Newsroom 2017 – Fakers and Makers, also looks at job placement in the newsroom, fake news, fact checking and threats to media freedom. According to the report, there is a disturbing culture of harassment and intimidation of journalists, a “worryingly permanent feature of our media landscape”. The post Black women dominate the newsroom: Report appeared first on SABC News – Breaking news, special reports, world, business, sport coverage of all South African current events. Africa's news leader.. 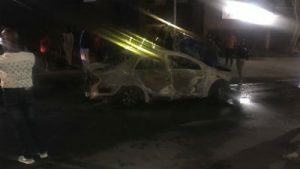 The Department of Transport says it is saddened by the news of the gruesome discovery of the body of a Taxify driver in a torched vehicle in Sunnyside, Pretoria. It is alleged that the deceased was shoved into the boot of his car and taken to an open field in Sunnyside where the vehicle was set alight last night. The Department has sent its condolences to the family of the deceased. It has also called on law enforcement agencies to leave no stone unturned in finding and prosecuting the perpetrators. Gauteng Community Safety MEC, Sizakele Nkosi-Malobane has appealed to anyone who might have witnessed the crime or know anything to come forward with the information. The post Dept of Transport condemns Taxify killing appeared first on SABC News – Breaking news, special reports, world, business, sport coverage of all South African current events. Africa's news leader..
Issues of peace and security in the Southern African Development Community (SADC) region and economic cooperation featured prominently in President Cyril Ramaphosa’s first official trip abroad. Ramaphosa is on a three nation tour of Angola, Namibia and Botswana. South Africa is also the chairperson of SADC and Angola chairs the Troika organ on Defence, peace and security. Whilst they did discuss a number of issues, the President said this was largely an introductory trip to his colleagues. Ramaphosa who was accompanied by the newly appointed International Relations Minister Lindiwe Sisulu and the Minister of Defence, Nosiviwe Mapisa Nqakula was welcomed with formal proceedings in Angola. Economic cooperation between the two regional giants was also part of the discussions. Businesses from both sides have been urged to take advantage of the growing relations. The two countries have abolished visas for their citizens travelling into each other’s countries. President Ramaphosa also travels to Namibia and Botswana. 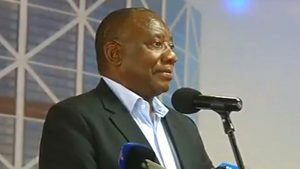 The post Peace and stability tops Ramaphosa’s agenda appeared first on SABC News – Breaking news, special reports, world, business, sport coverage of all South African current events. Africa's news leader..